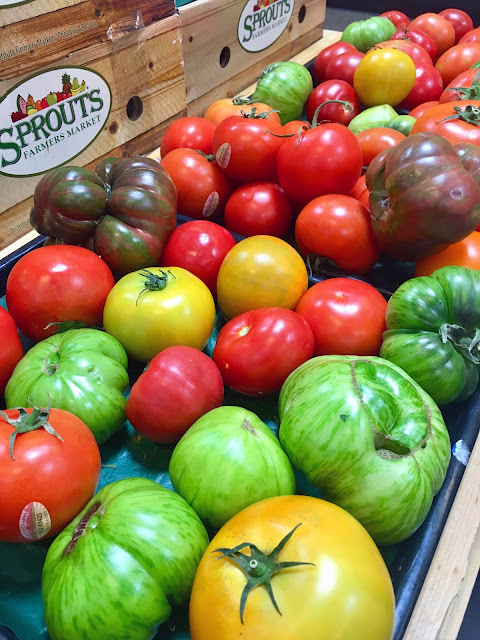 The produce at Sprouts is always so beautiful. On my last trip, I snapped this picture of heirloom tomatoes. Here's a little information about these tomatoes. And here are a few recipes for these beauties, courtesy of Martha Stewart.